Trompa, originally uploaded by 7knelas. In my office, I have a couple monitors at my desk. When I'm not using the secondary monitor, I stream photos of kittens from Flickr. They're all darn cute but this morning, Trompa caught my eye. 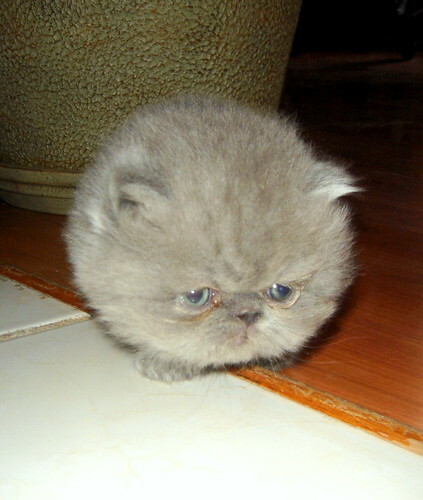 I think it's a baby Persian. So cute and fluffy like a cotton ball; makes me want to punt it (just kidding).